The Marie Menard Committee posed for a picture at St. Vincent de Paul Church at Nazareth this weekend. 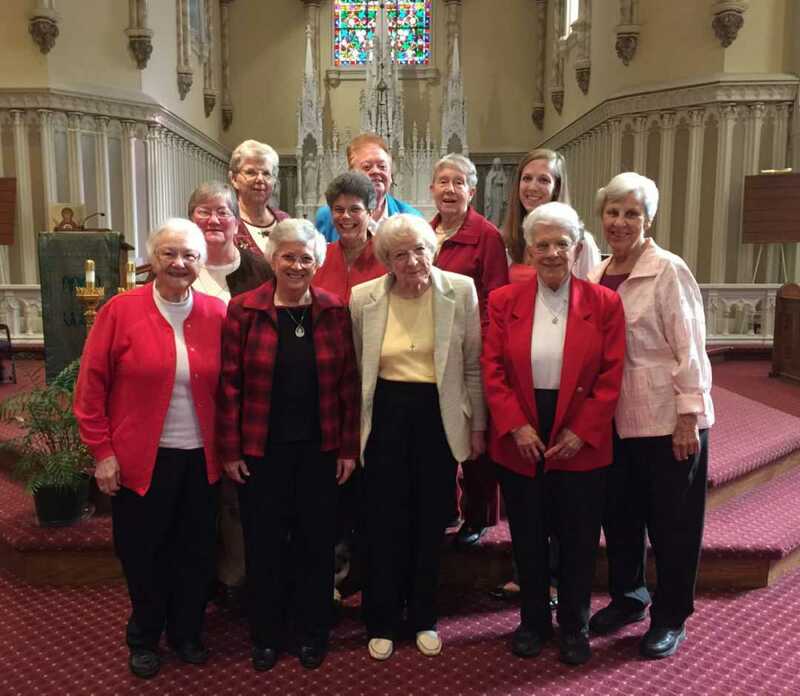 Periodically, stories of individual Sisters are posted in the nightly SCN News. The Marie Menard Committee is the group responsible for interviewing Sisters and recording their stories. The main purpose of gathering these histories is to save them in each Sister’s drop file but, when a Sister is comfortable with her story being published, they share them. Each story is unique. Some are long, some are short, but every single one is a testament to the incredible things God has done in the lives of the Sisters. It is a blessing to meet with and interview these Sisters.